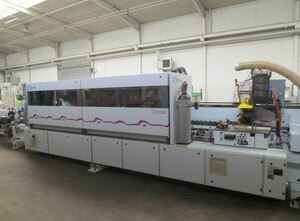 Edgebander machine (also called edgebanding machine) belongs to the category of Woodworking machines. 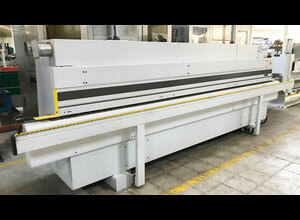 Edgebanding machines are used to apply edging to raw wooden panels or boards. Edge banding is the name of the finishing process as well, when strips of material are applied to trim the edges and complete the look of the end product. Majority of home and office furniture is produced from MDF which is Medium-density fibreboard. This special material is an engineered wood product, mixture of wooden fibre, wax and resin binder. MDF boards have higher density than plywood which is also commonly used for furniture manufacturing. Boards made from both these materials - plywood and MDF - have exposed sides that don't look too pretty. So an edgebander can easily fix this issue not just from the point of visual effect but also increase durability of the board and give it the appearance of solid material. Edgebanding process was known traditionally as a manual method performed with ordinary carpentry tools. Modern age has simplified many operations including edge banding. 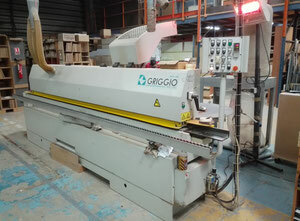 Nowadays, finishing of the edges can be done with a second hand edgebander. 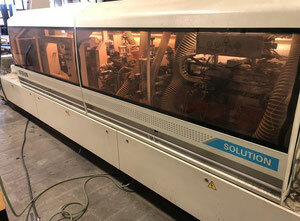 Speaking of industrial wood making and high-volume production, such as table tops or cabinet doors, edgebanding machines are completely irreplacable. 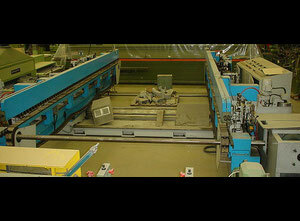 Edgebanders guarantee a quick and secure result throughout repetitive manufacturing process. 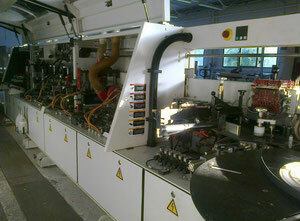 Process of edge banding is fully automated and is using a hot-melt adhesive. Adhesives used in edgebanders consist of raw materials such as PUR, PA, APOA or EVA. Hot melt adhesives are usually water or solvent based. Thickness of edge bandings varies from .018" to 5mm. or even more. 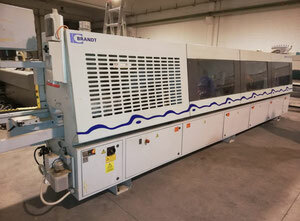 Used edgebander machine bonds edge banding to substrate, trims the top and edges and scraps any surplus materials. This way the final product looks flawless, as if it was made of a single piece of solid wood. Edgebanders are widely used in industrial woodworking sectors as well as carpentry. 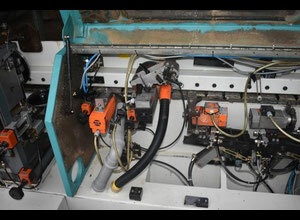 It is safe to assume, door and furniture making industries benefit the most from the use of edge banding machines. Door frames, table tops, cabinet doors and sides and many other related items can't go without a finishing edge banding touch. 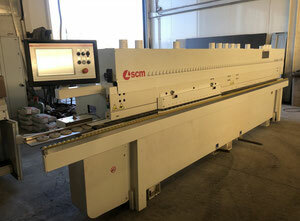 The main target market for used edgebander machine would be furniture manufacturers or companies producing doors. 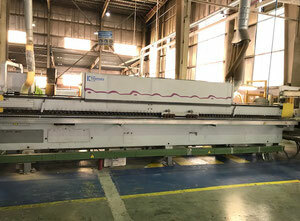 Now let's have a look at the main technical attributes of edge banding machines. 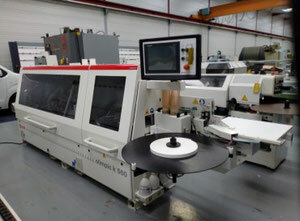 All these specifications should be taken into account when buying a second hand edgebanding machine. 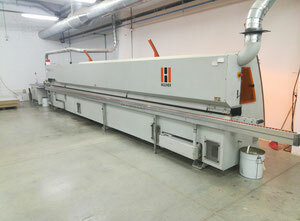 Homag - leading manufacturer for the wood-processing industry. 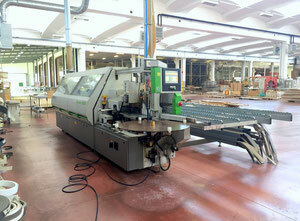 Product range of Homag machines goes from individual woodworking machines to production lines as a whole. 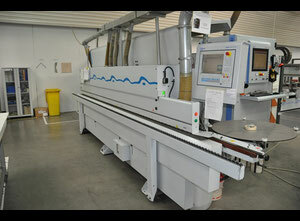 IMA - one of the main players in woodworking machine industry. Introducing leading technologies in the wood-processing sector for the past 60 years.